Add casters and support brace to your stationary mailbag rack for easier mobility. Mailbag racks sold separately, see part MB42 for our two bag mailbag rack. Mailbag rack sold separately. 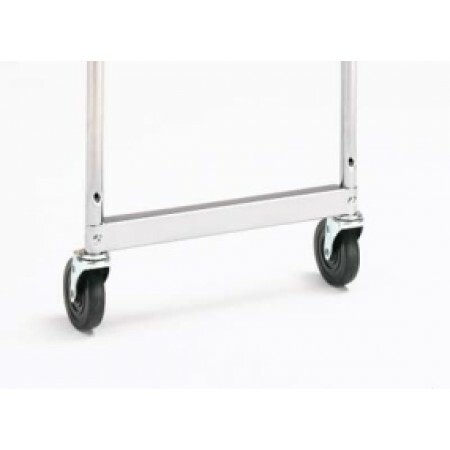 • Kit includes four 4" swivel casters and two support braces. • Raises mailbag rack to 52-3/4"H.
• One kit needed per mailbag rack.